This Mumei (Tegai) belongs to Jyojyo saku ranking. Habaki: Gold foiled single Habaki. Blade length : 66.81 cm or 26.30 inches. 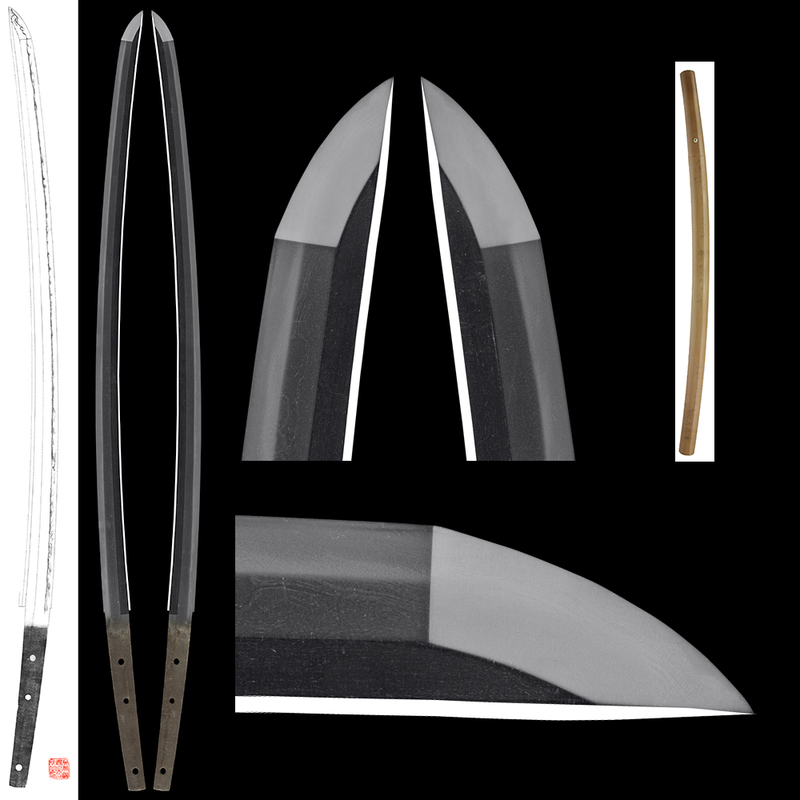 Shape : Regular size Osuriage Mumei Katana with large Sori and long Kissaki. Jitetsu : Itame Hada well grainend with Jinie attach and visible to see the texture. Hamon : Nie Deki, Suguha base, there are Ashi and Yo. This is typical Kamakura and Nanbokucho style. Boshi is Midarekomi Togari shape. Tegai, Shikkake, Taima, Senjuin, Hosho. 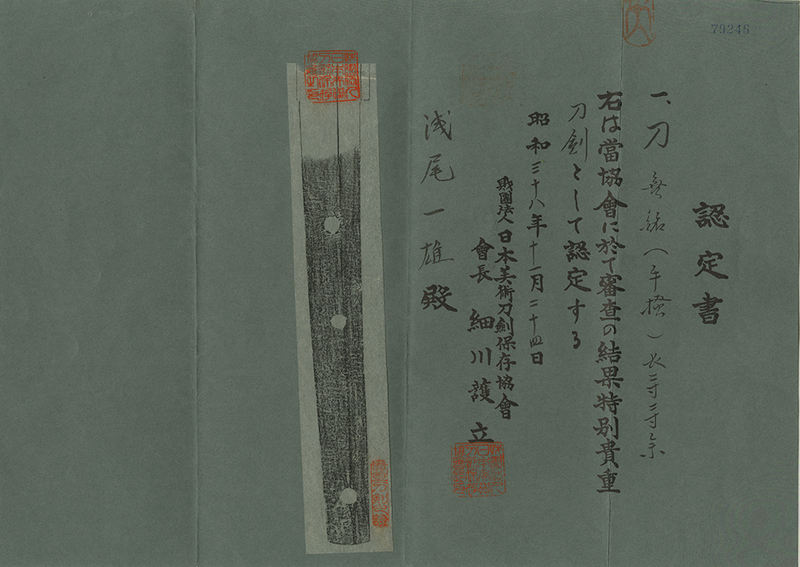 This blade was judged as Mumei(Tegai) by NBTHK. We guess also the blade attribute as Shikkake. The Jigane is nice. And also Hamon having the atmosphere of the Koto blade. Tsuba : Round shape iron Tsuba, flower with brass inlay. Heianjo Tsuba. Fuchi: Shakudo Nanako, Ume flower is engraved with gold color. Kashira : Iron, Ume flower is engraved with gold, silver and copper color. Menuki : Branch is engraved with gold color.